Coaching youth flag football offense is a lot of fun. There are so many wrinkles and plays you can do to throw off the defense. It’s also very easy to fool players in this age bracket, usually 5-10 years old, so you don’t really need fancy nor complicated plays. You just need a lot of simple misdirection. 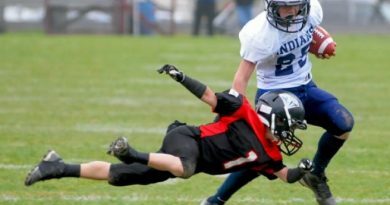 You do not need your high school tackle football playbook. Don’t be that guy and don’t make that mistake. We always run every play out of one single offensive formation, especially in the beginning. If every play starts out looking the same, the defense has no idea what is going to happen. 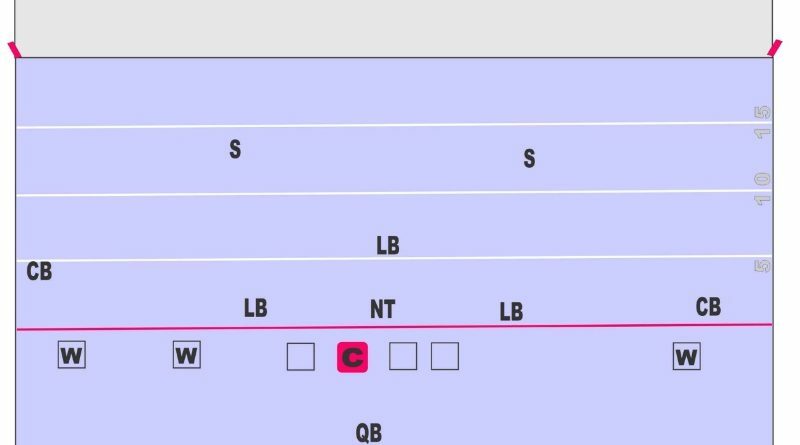 You can also use this to set up the following play. 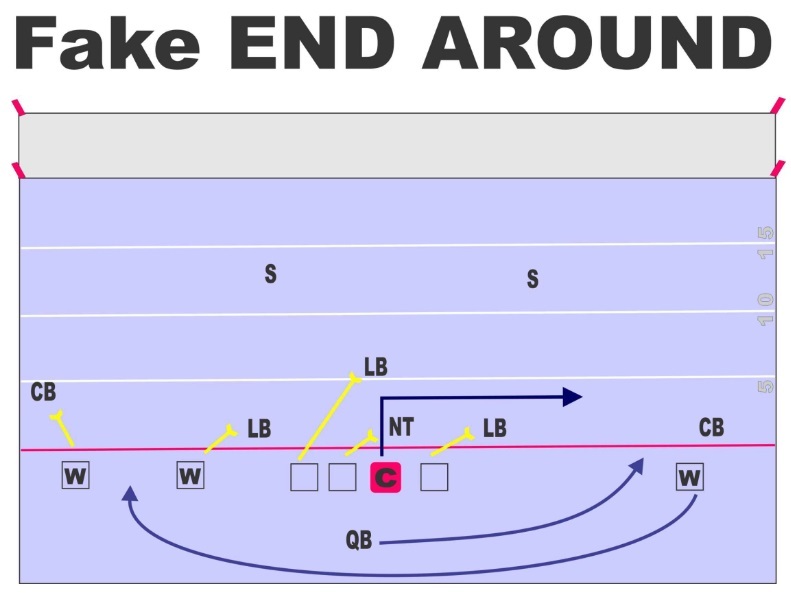 Many of our plays are not designed to gain a lot of yards, although you may, but rather to set up the following play. The defense has no idea if you are running, passing, or running the same play over again. In fact, in most cases we want them to think we are running the same play again, to set them up for failure. And it works every time. We try to limit ball exchanges as much as possible. If you have to snap the ball back, that is one exchange. Any handoff or pass is a second exchange. We try to make sure all of our plays are just one single ball exchange, or sometimes two ball exchanges. Any more than that and you’ll have a disaster. 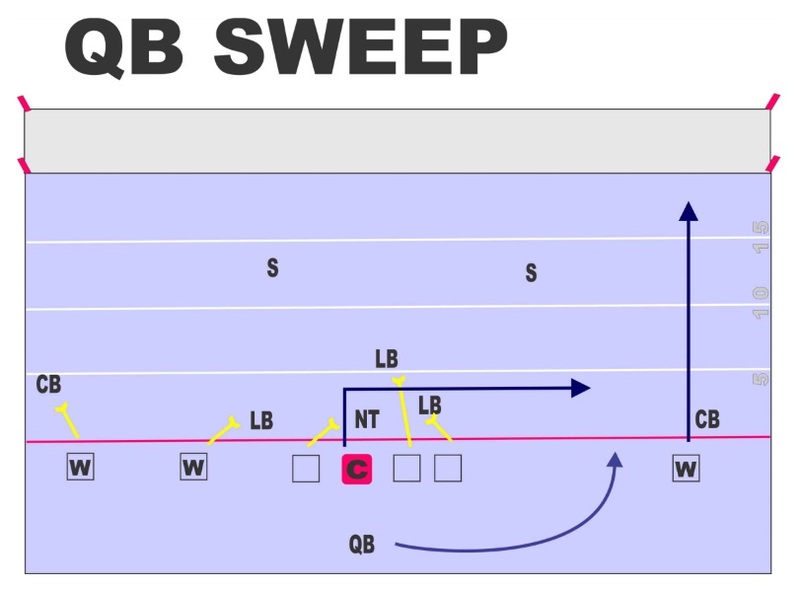 Most of our plays are sweeps and reverses. They are very hard to defend at the youth level. The play we run the most is actually the quarterback getting the snap back and running a sweep himself either right or left. We take a look at defenders and see which side is easier. Because we use only one single offensive formation, the defense doesn’t know what we are doing. 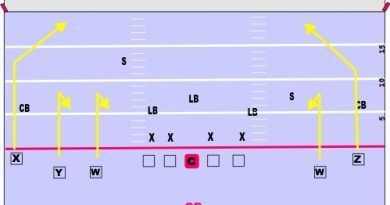 The following play is the quarterback running to that same side, then handing the ball off to a wide receiver running back the other way on a reverse. Both of these plays usually gain a ton of yards, but are being use to set up the final play in this magical trifecta. 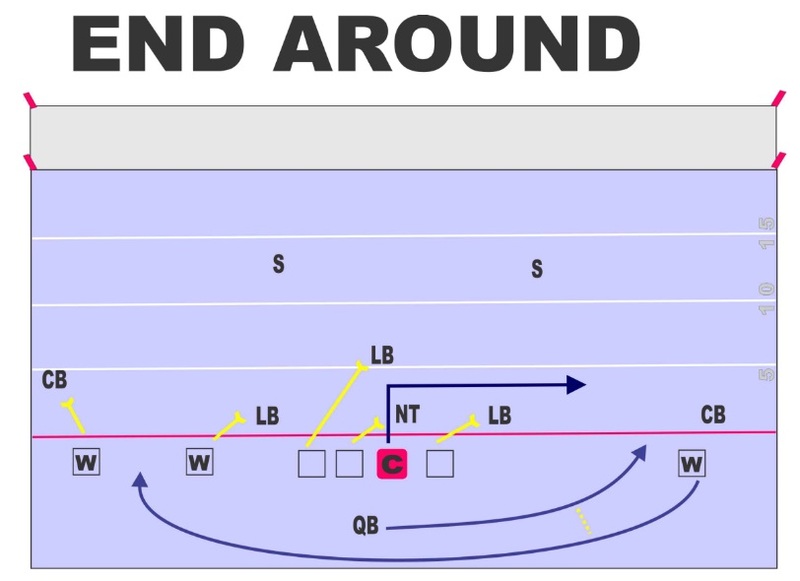 The third play, the quarterback runs the sweep, the wide receiver runs back toward him like he is getting the reverse hand off, the quarterback fakes the reverse hand off and takes off running for a touch down. It’s brilliant, and you will always score on this third play, if you don’t score on the two preceding plays.